We all know people who refuse to drink the tap water in New Orleans. Are they right? “I want to see where it ends,” said a friend from Minnesota, a curious excitement in her blue eyes. We were walking towards Crescent Park so that she could see the end of the 2,320 mile-long Mississippi River. Missisipi is a French bastardization of an Ojibwa word Misi-ziibi, meaning “Great River” or alternately “gathering of waters”. The river cuts through the North American landmass, from the great white north (Minnesota) to the Gulf South. 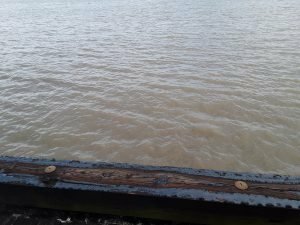 When it flows through our fair city—defining upriver as Uptown, and downriver as Downtown, the river appears brown most days, burbling sluggishly past the port and shipyards, the tourists clustered in Jackson Square, the quiet of Irish Channel. 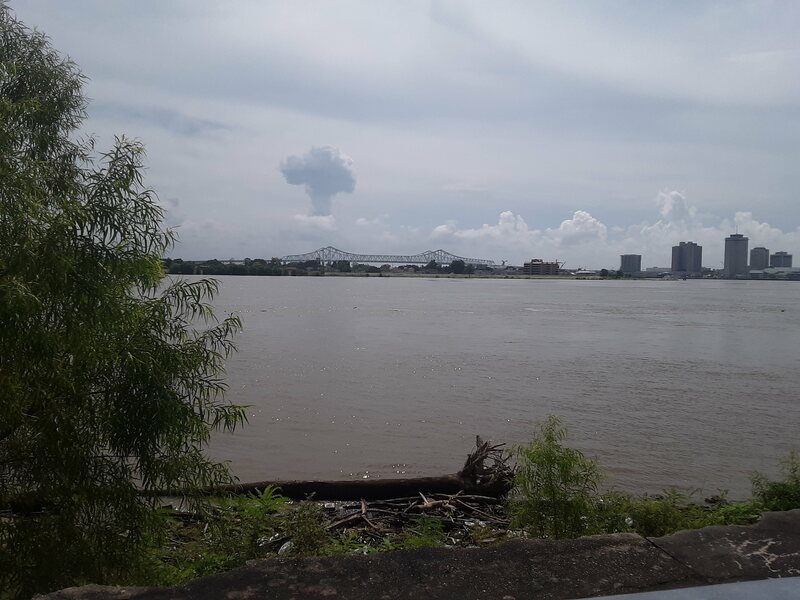 The city gets its drinking water from the Mississippi River, and although the Clean Water Act of 1972 introduced many higher standards for drinking water and industrial pollution, the river is still facing contamination issues. There are high levels of lead in the northern part of the river near the Twin Cities, while mercury levels are high near New Orleans. Though industrial pollution into the river has lessened, agricultural runoff continues to be a source of pollution, as does outflows from wastewater treatment facilities upriver. New Orleans’ wastewater may flow into the river (and the lake) but ours is far from the only municipality to use the river in this way. With a system that is designed to remove both sediments (through filtration and centrifugal force) and bacteria (through chemical treatment), the Sewerage and Water Board claims that the water is safe. When I first moved to New Orleans, I drank water from the tap on house’s fridge door, which was (so I was told) filtered. Then the rats that infested the house chewed through the tubing, and I drank the water from the kitchen sink. However, even in the eyes of one who accepts that the water coming from the New Orleans tap is basically drinkable, there are some obvious exceptions — I was simultaneously enraged and astounded (as only one who has lived her whole life taking potable water for granted could) when I encountered my first New Orleans “boil advisory,” in October of last year. “Oh yeah,” my roommate, a Louisiana native, blithely informed me. I looked it up; he was exactly right. About a dozen of those warnings had been issued in the last eight years; I had never heard of such an issue. I am a New Yorker, we have some of the top-ranked municipal tap water in the country — it’s what gives us our sense of intrinsic superiority, and makes the bagels so good. The same roommate, the only one of us in the five-person household who was a Louisiana native, bought his water from the Walgreens nearby. So let’s start breaking it down: what is running through our taps — is it (as some claim) basically Mississippi river sludge? Is it irrevocably contaminated with industrial activity that begins at the mouth of the river, in Minnesota, before winding through the Midwest and becoming the base for our soups, coffee, and the medium for the rice we eat? Let’s dive in and see if we can’t get some answers. To look into the issue of water contamination, Big Easy Magazine reviewed the most recent report from the New Orleans Sewerage and Water Board’s quality reporting, from 2017. The report covers all chemicals that municipal water services are required to test for, and what the “action levels” for each chemical is — the level at which remediation is needed to prevent contaminants from harming consumers. These levels are being measured in parts per million (ppm), or even parts per billion (ppb). Big Easy also compared these standards to standards for drinking water held by the European Union, which are based on the standards from the World Health Organization but are more stringent. To begin, we’ll look at the lowest common denominator — chlorine. Chlorine, for reasons that are not completely understood, is an extremely effective weapon against waterborne bacteria. It is used in most municipal water systems and is credited with the elimination of previously common and deadly diseases—cholera, dysentery, typhoid, and legionnaire’s disease. However, with the scientific discovery of the micorobiome—the community of bacterial cells that comprise 90 percent of all cells in the body—the scientific community has begun to realize that culturing probiotics within the gut can reduce depression and control weight gain, whereas a deficient microbiome can lead to a host of health problems, notably autoimmune conditions and chronic bowel disorders. Although not well-studied, there are concerns within the scientific community that traces of chlorine that remain after the disinfecting process, can kill beneficial gut bacteria. As the field of microbiome study is fairly new, however, there are no definitive links to prove that traces of chlorine are harmful to humans. Nearly all sources report that though there are potential threats to the microbiome, the risk of undertreating water exceeds those levied by adding disinfecting agents. 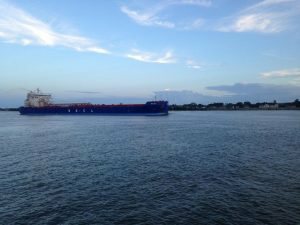 However, in a consumer report conducted by the Environmental Working Group organization, elevated levels of chlorate were found in some of New Orleans’ drinking water. Chlorate is a byproduct of the chlorination process used to disinfect drinking water. In the state of California, the state with the strictest consumer protection laws regarding food and water, the proposed “action limit” for chlorate is 200 parts per billion, though in the European Union the guideline is far lower, at 70 ppb (the federal guideline is 210 ppb). The group reports that this is an extremely common contaminant, one found in excess of federal guidelines in 45 states, affecting at least 46 million Americans. Nonetheless, the water tested far exceeded any of the above guidelines, with the highest levels (found on the West Bank in the Sewage and Water Board’s reporting) in concentrations as high as 438 ppb. Chlorate most notably can inhibit the body’s ability to take in iodine, a mineral needed for the thyroid to function and affect the body’s ability to carry oxygen via red blood cells. However, cases of acute toxicity have only been found in humans who use chlorate concentrate, which is a component of pesticides. Now let’s talk about lead. Until very recently, lead was considered a benevolent “helper” chemical that was included in everything from paint to cosmetics. Lead is a wonderful insulating material, and it is the reason that water pipes still contain lead, though they are lined to prevent the water from lead contamination. Utilities in the 1980s were still using lead pipes in some parts of the country. When the lining is disturbed or degraded, that is what leads to problems. Most notably in Flint, Michigan, the water supply was corrosive, which stripped the lining from the water mains and introduced lead to the water supply. It is said that there is no safe level for lead exposure — yet residents of Orleans Parish live in an area where the city is constantly disturbing the water pipes to perform repairs on a crumbling system. This kind of work has been shown to heighten lead levels at the tap. In fact, just last year (as this reporter was preparing to move to New Orleans) there were disturbing reports of the city working on said pipes while giving little to no notice to the surrounding homes, whose water was at high risk for contamination. Aside from buying bottled water as my roommate did, an expensive and often less-safe option for the consumer, another available option for New Orleanians concerned about water-borne impurities is to buy a filter. Someone looking to purchase a filter can look online for filters by price point, and by targeted contaminant. However, aside from the initial cost, filtration systems also are a continuous cost levied on the consumer, as the filter piece must be replaced regularly. 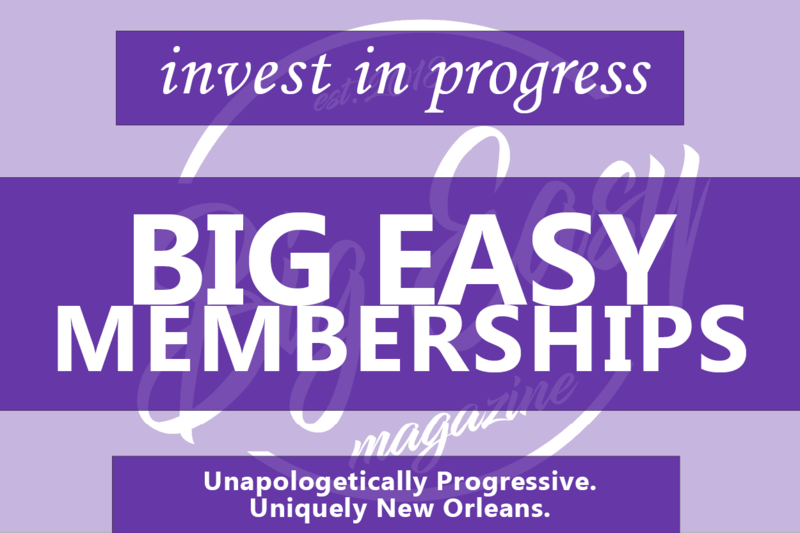 Considering the high percentage of New Orleanians living at or below the poverty line, however, this is not an option available for everyone. In Inspector General E.R. Quatrevaux’s report on lead and infrastructure in New Orleans, he recommended that the Sewerage and Water Board distribute water filter kits and refills to residents most likely to be affected by lead disturbances, and it is the opinion of this publication that this would be a huge success for public health and public faith in good government. Lead levels from 2017 were detected in one of 60 testing sites on the East Bank, and one of 47 sites on the West Bank. As this shows under 10 percent of test sites are above the “action limit,” the water is up to legal standards for lead. The highest reported value for lead was seven ppb, which is below both the US’ standard (15 ppb) and the EU’s (10), though above the conservative goal set by the state of California for under 0.2 parts per billion. Though this is an infinitesimal amount, there are no safe levels for lead exposure, especially for children. To see the results for myself, I purchased a cheap ($10) kit that could test bacterial count, pH, atrazine and simazine concentration (both common pesticides that may be detected in water supplies), lead content, chlorine, and hardness at my tap at home. The Sewerage and Water Board has a program to test water for lead for free, though results take around six weeks to process. My home’s tap water tested below 15 ppb for lead, and below three ppb for the pesticides as well. Chlorine was at two ppm, close (though still below) the EU’s threshold of three ppm. According to the EWG report, which was furnished with data from the EPA, the Louisiana Department of Health and the Sewerage and Water Board’s own testing, the municipal water is safe to drink, according to the relevant legal standards. There are detectable levels of heavy metals and compounds used in manufacturing, but they fall within acceptable guidelines for drinking water. The detectable levels of chlorate, lead, trihalomethanes, and chromium, chemicals lagged by the EWG, do not compel the city to take further action. In fact, the only chemical in the data that was consistently higher than the recommended health thresholds Big Easy examined is chlorate. The water of New Orleans is safe to drink, according to international standards. It is at least as safe as the water millions of other Americans drink every day. Yet for some reason, I suddenly want a filter. Fixed! Thanks for catching that, Matt! You missed one in the section on chlorate.